New Shuttle Bus Systems in Manila International Airport, still known as NAIA. The 4 commercial terminals and the air-charter hangars are rather far from each other. The distance between terminal 1 (NAIA-1) and terminal 3 (NAIA-3) is 4.8 kilometers. That’s too far to walk. During many years, passengers had the choice between taxis and sometimes a free shuttle bus. Taxis had been a real hassle until the yellow airport taxis appeared. But one problem the buses and taxis shared — the almost permanent traffic jams between the airport’s terminals. Each typical airport has two sides. Departing passengers always come from the “landside” meaning parking lots, public transport railway stations and access roads. Airside includes all areas accessible to aircraft, like runways, taxiways and apron/ramps. Passage between landside and airside is tightly controlled at all airports. To access airside, one must go through Security, and if applicable, Passport Control too. Passengers transferring via Manila with confirmed connecting flight on Philippine Airlines and PAL Express shall be provided with free airside shuttle service to and from Centennial Terminal 2 and Terminal 3. The passengers coming from International/Regional flights at Terminal 2 will clear with Immigration, Customs and will claim their baggage at the carousel. The passenger is requested to proceed to the transfer desk for issuance of transit cards and transfer to Terminal 3. Passengers transferring via Manila on Philippine Airlines and International Codeshare flights shall be provided with free shuttle service to and from NAIA Terminal 1, Centennial Terminal 2 and Terminal 3. The passenger is requested to proceed to the Transfer Desk Service at NAIA Terminal 1. This service is subject to certain conditions and qualifications. For more information, please inquire with any of our Philippine Airlines staff at the arrival area of either terminal. 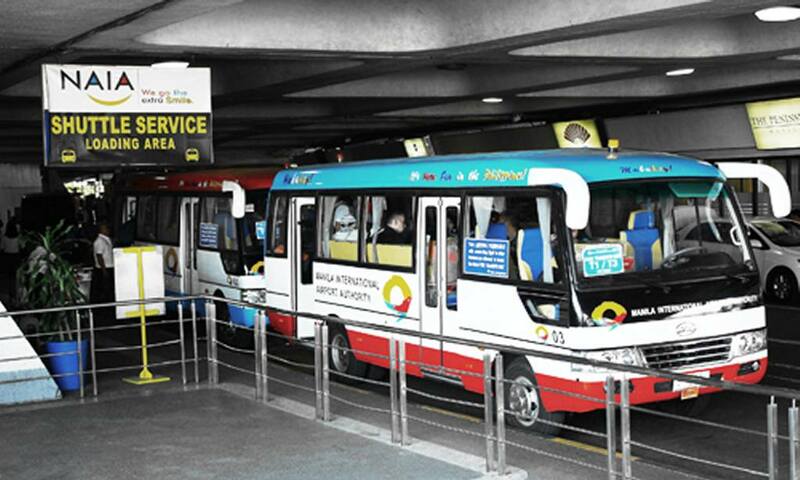 In 2016 MIAA, the Manila International Airport Authority, started their own airside shuttle bus operation. These MIAA buses operate 24 hours. During day time a bus leaves about every 30 minutes. From 11 p.m. to 5 a.m. it’s every 50 minutes. The only condition to use these free shuttle buses is to have a valid onward flight ticket for the same day. In the evening also tickets for the next day are accepted. The bus stations are clearly indicated at each terminal. If you cannot find them, ask airport staff. 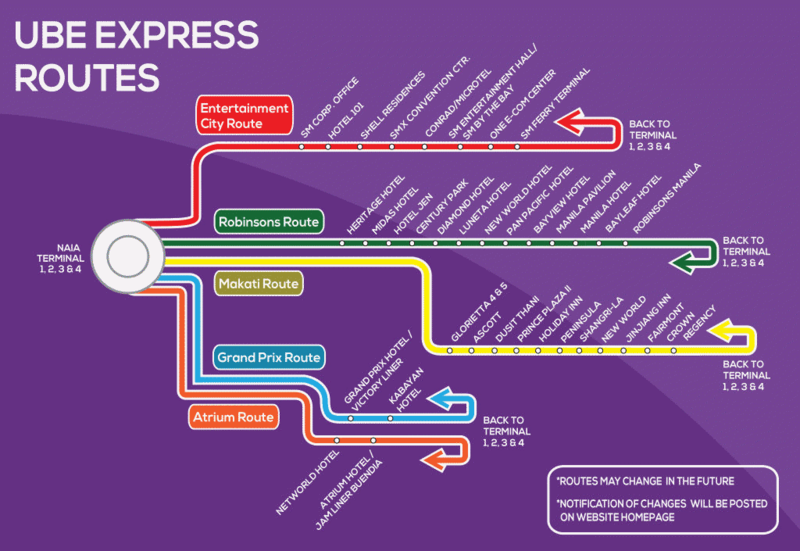 The latest of the New Shuttle Bus Systems are the UBE Express shuttle buses. They have a website and a Facebook page. These buses run on fixed routes between the 4 airport terminals and the hotel districts of Metro Manila. The “Grand Prix Route” brings passengers to the Victory Liner bus terminal. The “Atrium Route” goes to the Jam Liner bus terminal in Buendia. 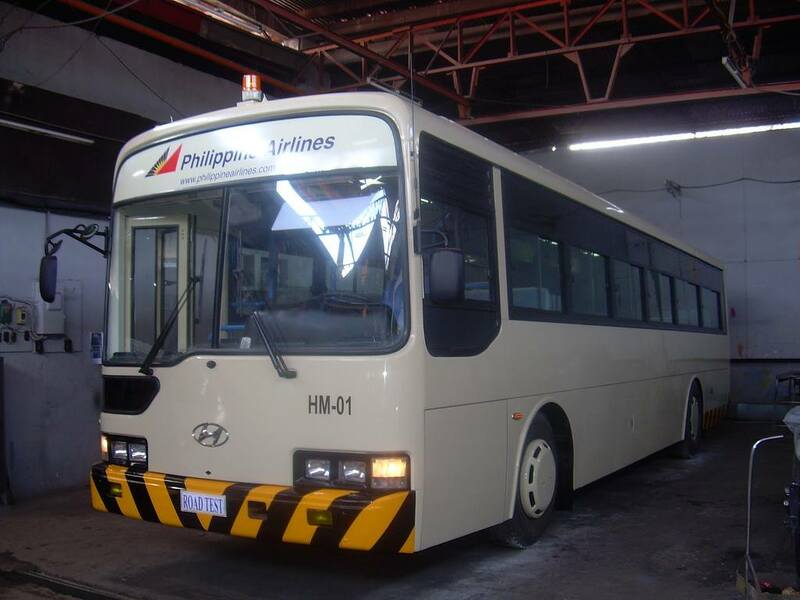 For Manila’s bus terminals see our Manila Bus page. On our general bus page, you find an easy to use fare calculator and information about many Philippines bus companies. [Editor’s comment:] The New Shuttle Bus Systems make it a bit easier in Manila, but only a bit. The airside shuttle bus came many years too late, but it came! This bus makes transferring between terminals more comfortable, yet not faster. You must still reserve at least 3 hours to catch your next flight in another terminal. 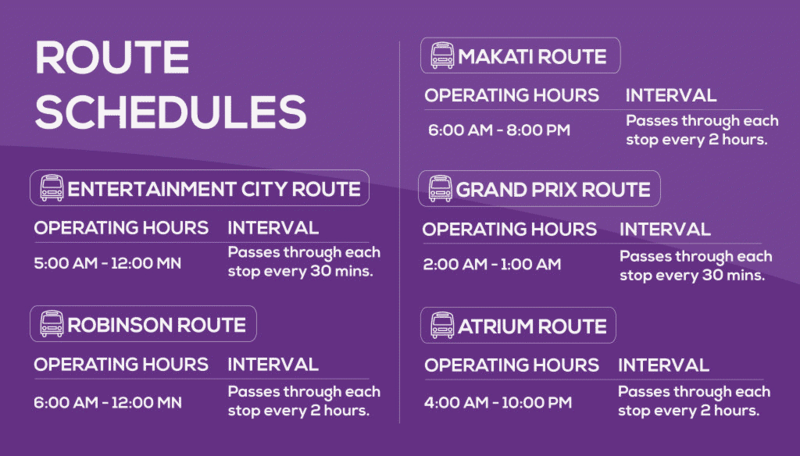 The UBE express buses can be recommended for transfers from your downtown hotel to the airport. You won’t have to deal with cheating taxi drivers. For the transfer from the airport to your downtown hotel, we recommend the yellow airport taxis. They are clean and bring you for about the same fare directly to your hotel. The newly opened skyway above Andrews Ave., Airport Rd., and Domestic Rd. considerably reduces the traffic jams at the 4 NAIA terminals. I would like to book a bus ride from Manila International airport to 101 Hotel on 5th May. My flight arrives into Manila at 16.35. 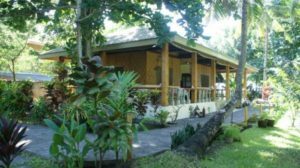 We can do nothing, we are just a private tourism promotion organization. Please contact the shuttle bus company directly.